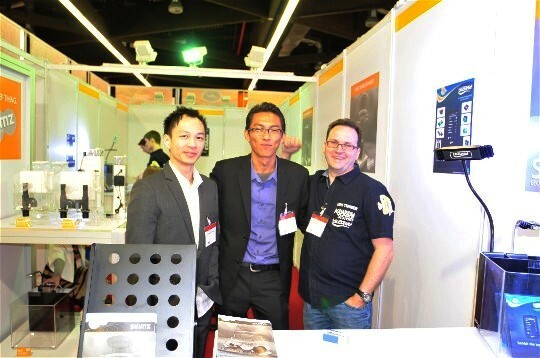 Steve and Ado of Skimz, and Urs of Aquarium Systems, Switerland. Denise of Holland and Janet of Skimz. 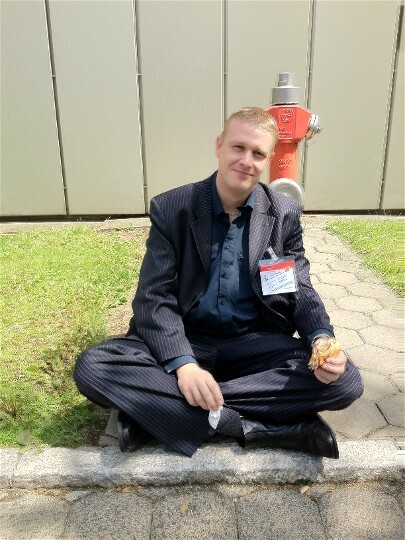 Janet of Skimz and Fritz of USA. Janet of Skimz and visitors. Mrs and Mr Walt Smith, and John of Skimz. 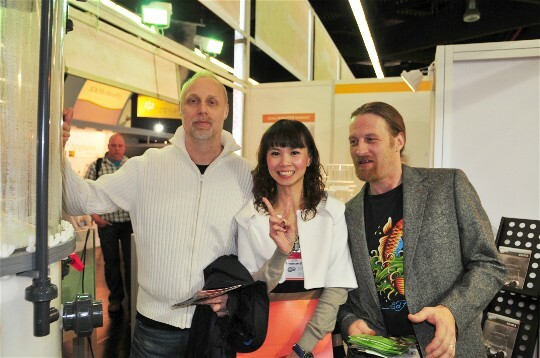 Urs of Switerland, Janet of Skimz, Matthias and Christian of Germany. 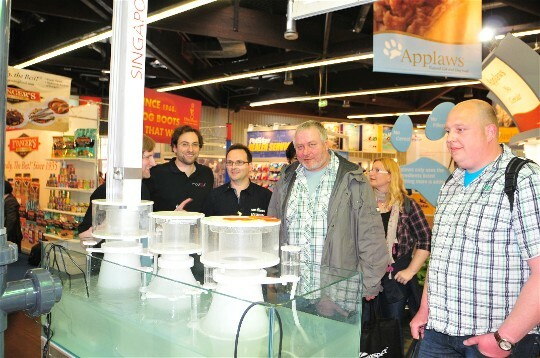 Vistors at Skimz exhibition stand at Interzoo 2012, with Matthias and Urs. 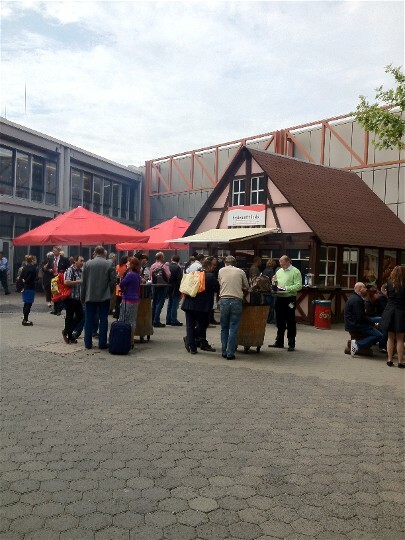 Lunch time….. nice restaurant serving frankfurter (German hot dog) at Interzoo 2012. 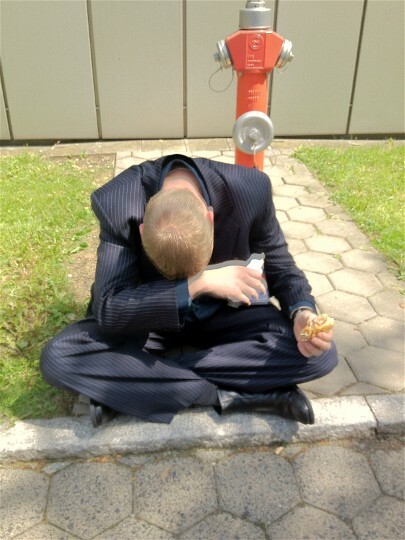 Denise is too tired and struggling to finish his burger. 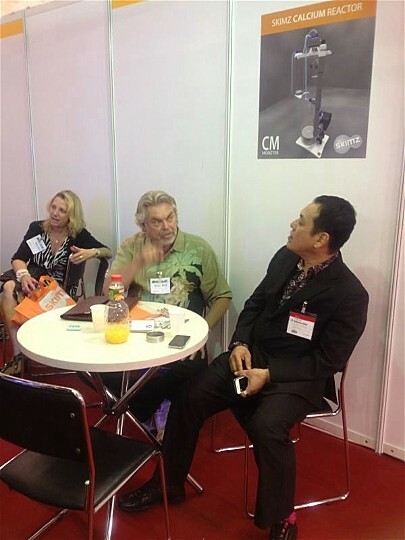 John and Janet of Skimz with Alex of Eden srl. 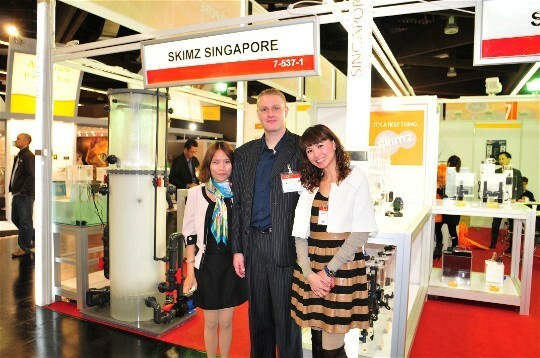 Janet of Skimz with South Africa representative, Adam. 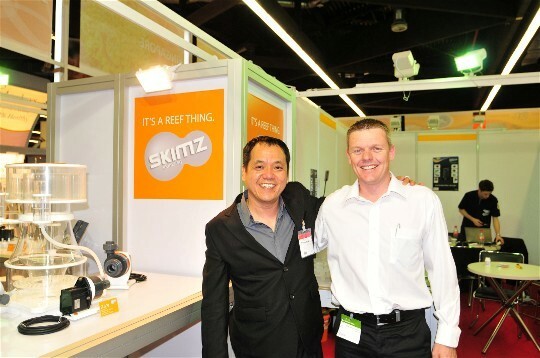 John of Skimz with South Africa representative, Adam.